The following issues are available for online viewing. If you want to directly download a pdf for offline reading (or printing) later, click HERE. Some archived print versions are available for purchase here. From urban infill to modernistic marvels, we salute the year's best projects. 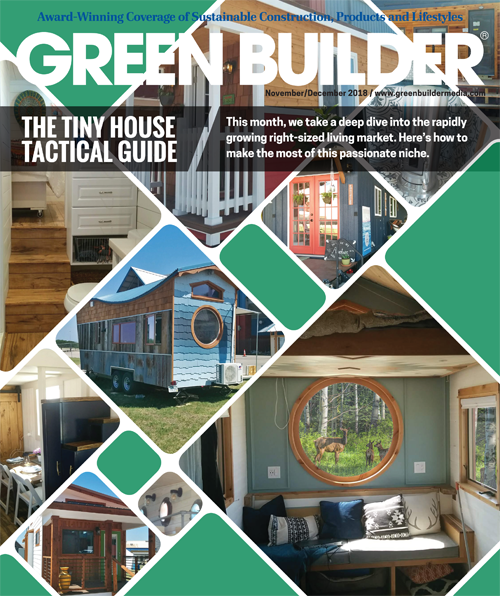 This month, we take a deep dive into the rapidly growing right-sized living market. Here's how to make the most of this passionate niche. 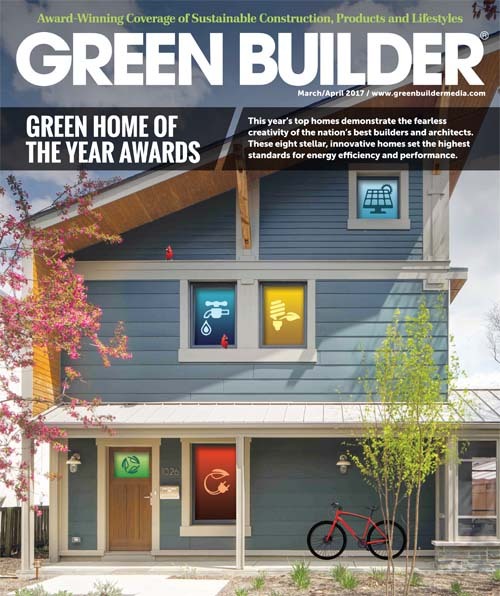 Despite uncertainties about the future, our annual Building Science issue finds the industry forging ahead with higher-performance homes and products. 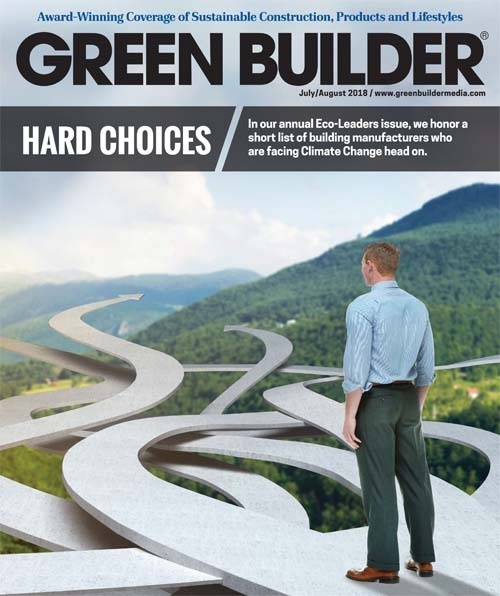 In our annual Eco-Leaders issue, we honor a short list of building manufacturers who are facing Climate Change head on. Our first ever look at the industry's best associations and organizations—what they do and how they can help you. 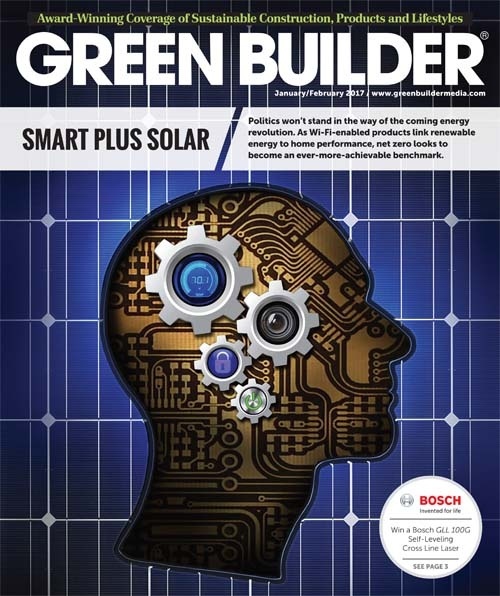 Our annual editors' choice product favorites show how mechanical systems, advanced building science and smart technologies have converged. 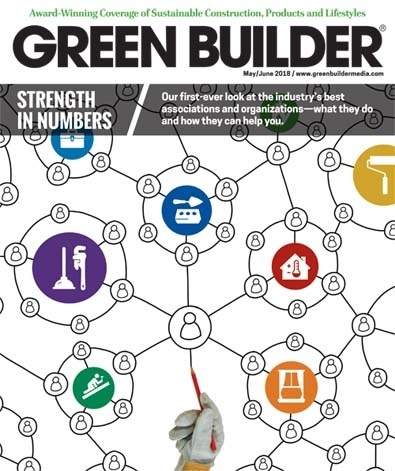 Also in this issue, readers pick the most sustainable brands for 2018. Art and science converge as this year's winning projects raise the sustainability bar to new heights. Monster storms. Flooding. Wildfires. 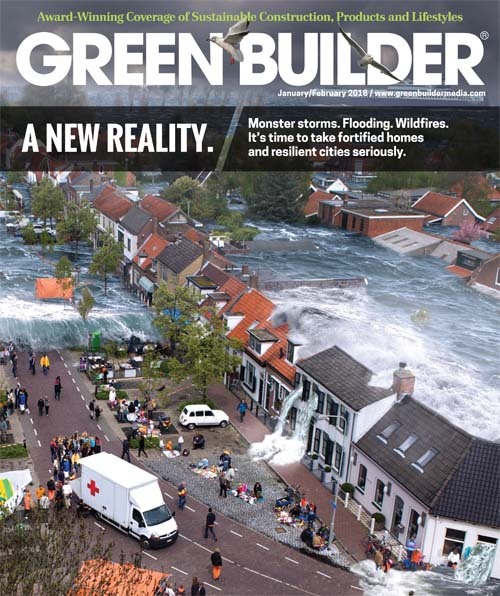 It's time to take fortified homes and resilient cities seriously. This month, leading futurists offer a roadmap from dystopia to prosperity. Meet the Champions of Change. 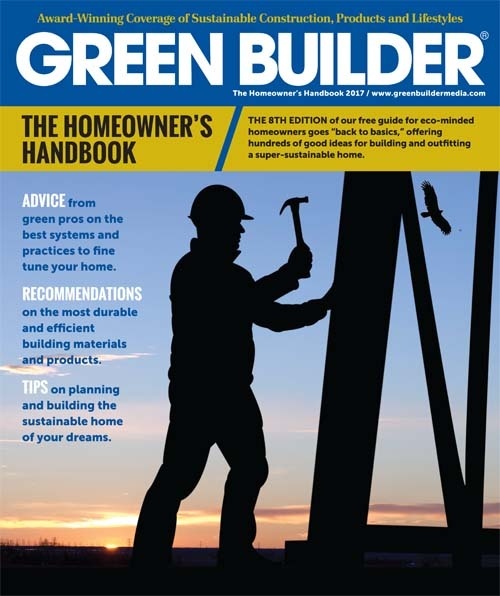 The 8th Edition of our free guide for eco-minded homeowners goes "back to basics" offering hundreds of good ideas for building and outfitting a super-sustainable home. 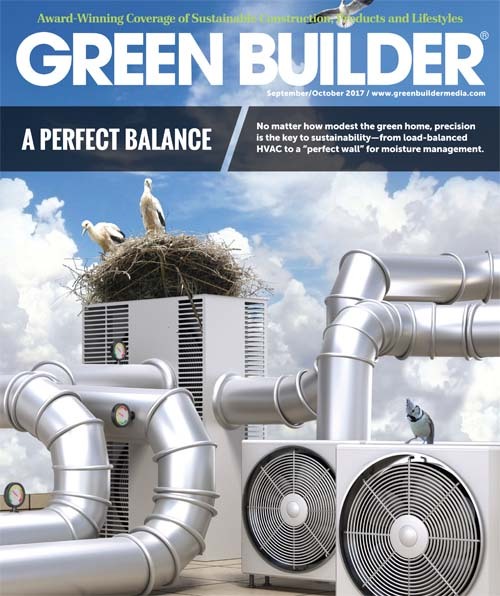 No matter how modest the green home, precision is the key to sustainability—from load-balanced HVAC to a "perfect wall" for moisture management. As America's political elites turn their backs on climate change, a few companies have made the connection between prosperity and sustainability. This year's annual selection of Eco-Leaders demonstrate the power of innovation to reduce our heavy footprint. 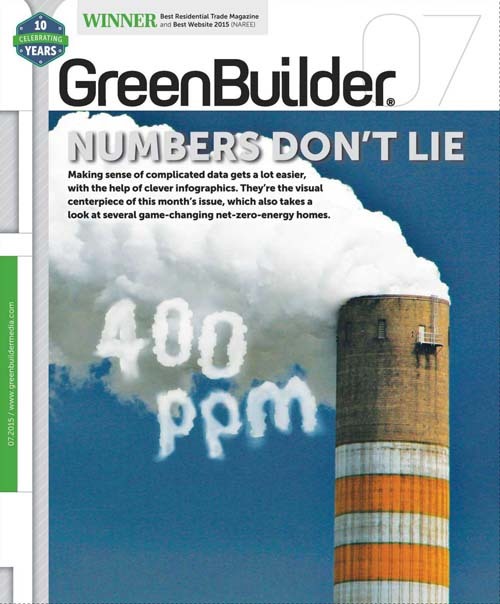 Population shifts and other forces have triggered a surge in energy-efficient housing. Can multi-family projects fill the void? 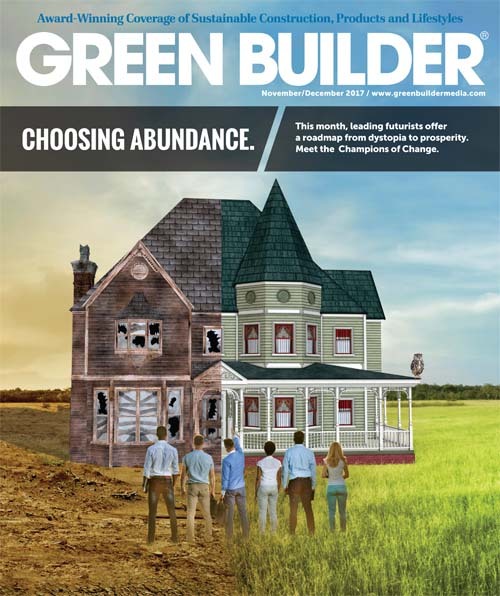 Our annual special awards issue narrows the field of sustainable products to the best and brightest, and we also unveil the results of our latest Readers' Choice Brand Survey. 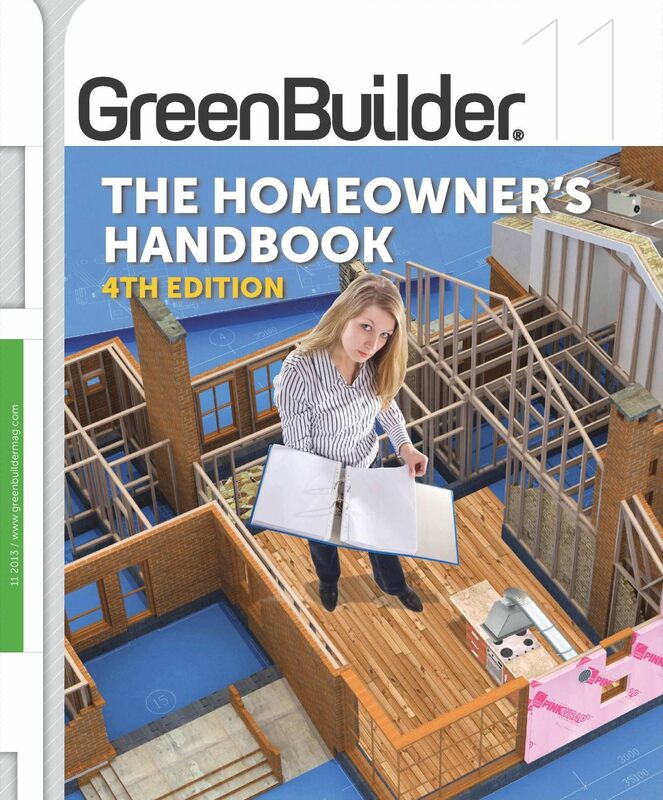 Here's a salute to the best products and companies in the business of building.. Politics won't stand in the way of the coming energy revolution. As Wi-Fi-enabled products link renewable energy to home performance, net zero looks to become an ever-more-achievable benchmark. 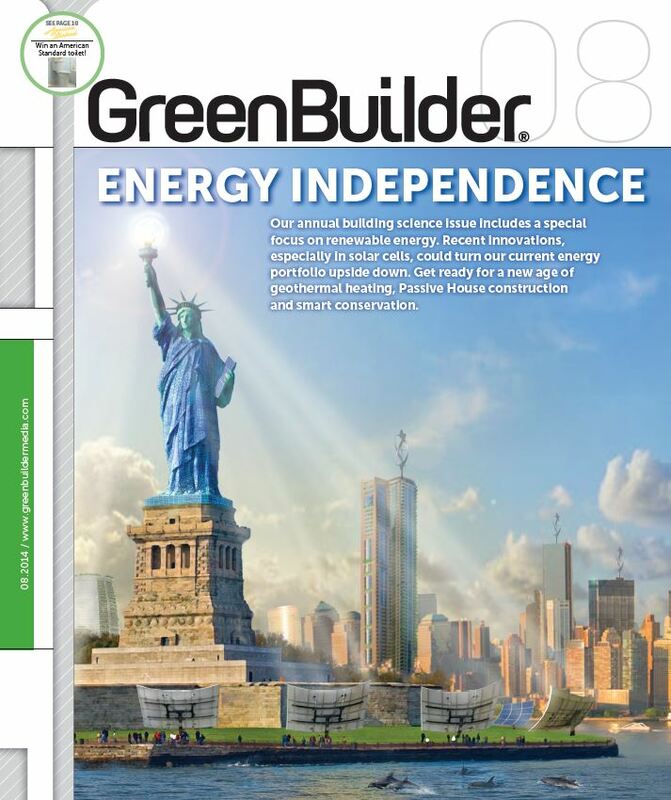 The public comment phase of the 2018 IECC hearings has passed, and final decisions will be made as this issue went to print. 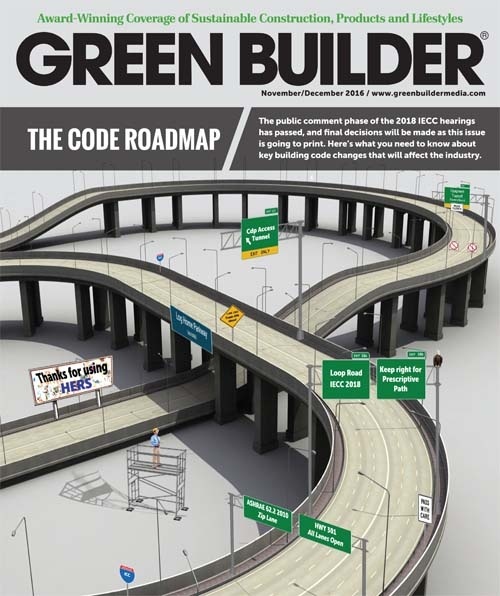 Here's what you need to know about key building code changes that will affect the industry. 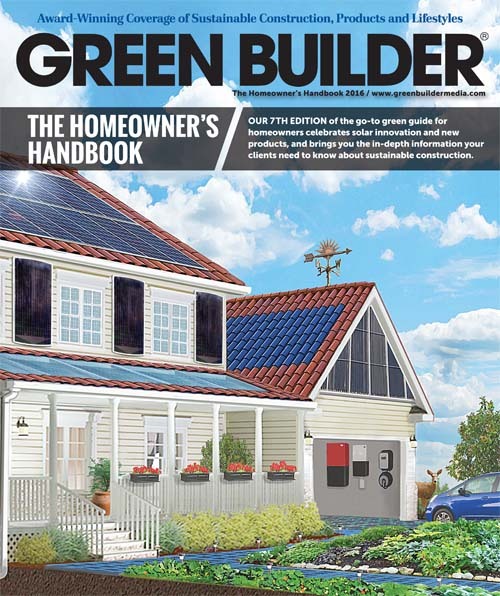 Our 7th Edition of the go-to green guide for homeowners celebrates solar innovation and new products, and brings you the in-depth information your clients need to know about sustainable construction. 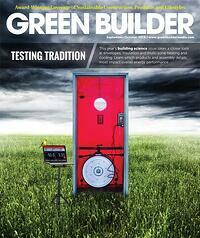 This year's building science issue takes a closer look at envelopes, insulation and multi-zone heating and cooling. 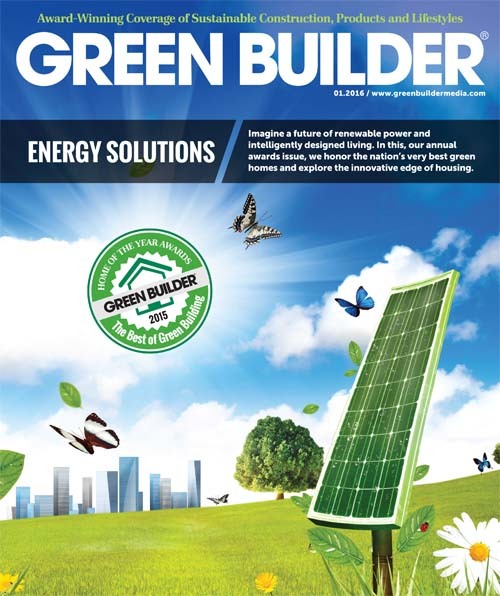 Learn which products and assembly details most impact overall energy performance. Can greener business practices and smarter living slow our global nose dive toward climate disaster? 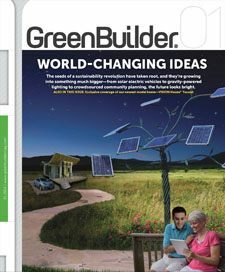 Our annual Eco-Leaders issue looks at companies and ideas addressing what may be the toughest challenge in human history. 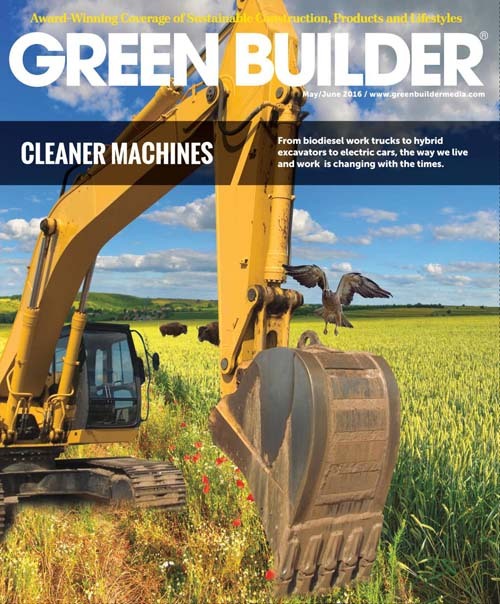 From biodiesel work trucks to hybrid excavators to electric cars, the way we live and work is changing with the times. 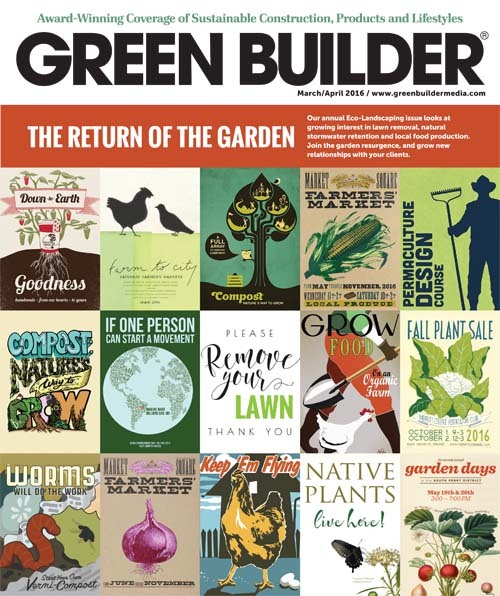 Our annual Eco-Landscaping issue looks at growing interest in lawn removal, natural stormwater retention and local food production. Join the garden resurgence, and grow new relationships with your clients. 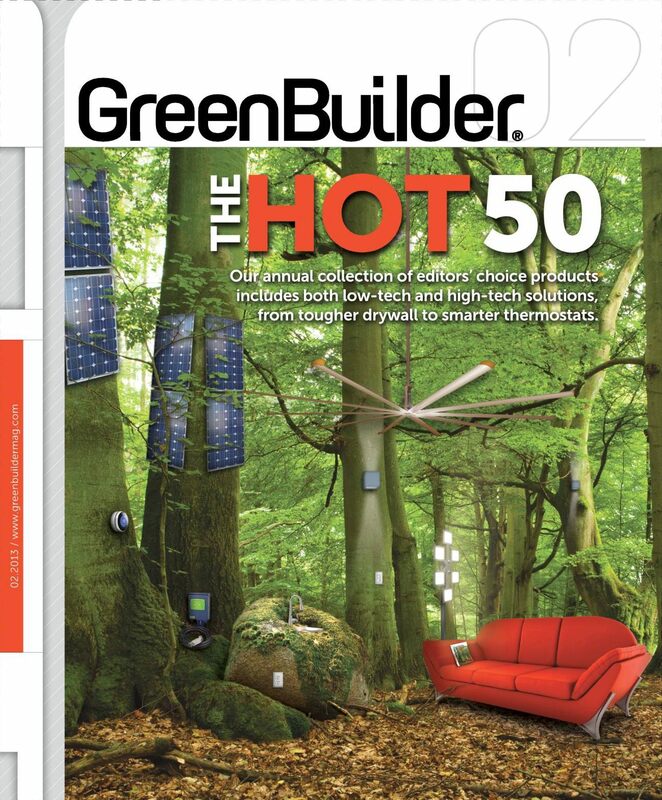 Our annual awards issue features our 2016 Hot 50 Editors' Choice and 2016 Readers' Choice Brand Survey. 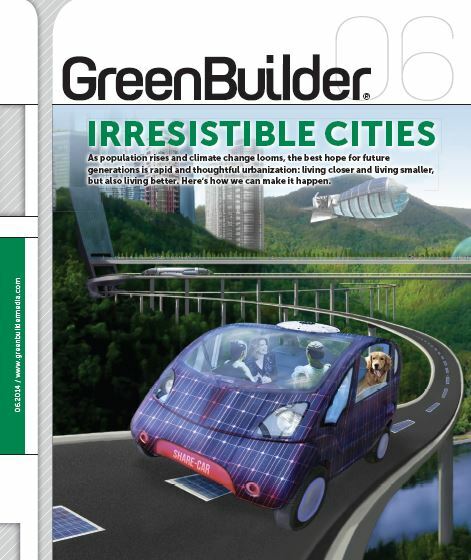 Imagine a future of renewable power and intelligently designed living. 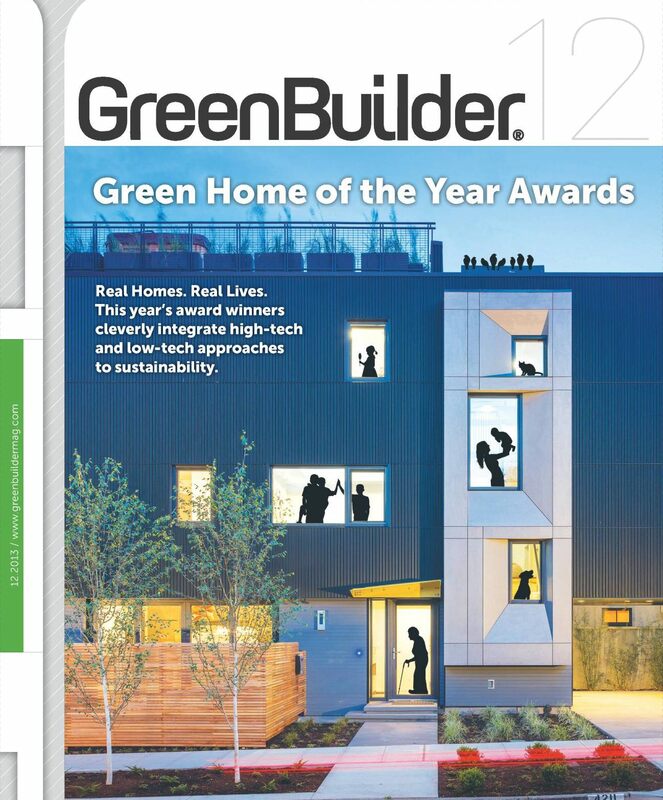 In this, our annual awards issue, we honor the nation's very best green homes and explore the innovative edge of housing. The Interconnected Home. 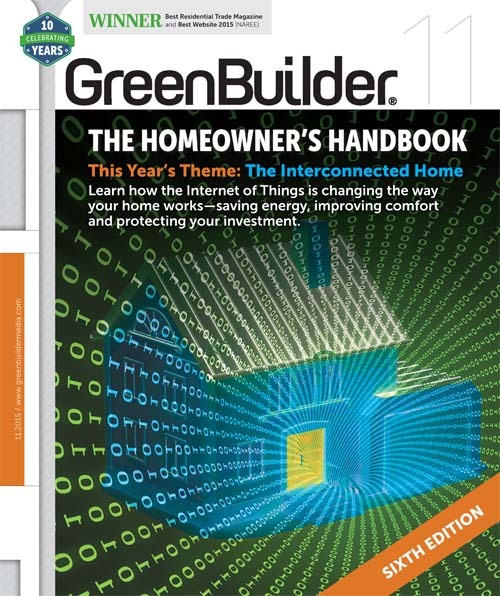 Learn how the Internet of Things is changing the way your home works—saving energy, improving comfort and protecting your investment. It's a brave, new alternative construction universe out there. Here's our annual look at materials old and new. Are you ready for the jobsite of the future? 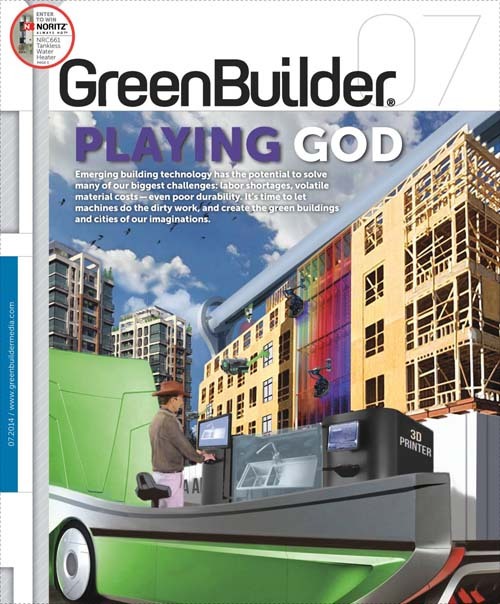 This issue, we look at new ideas and technologies that are changing the way buildings happen. 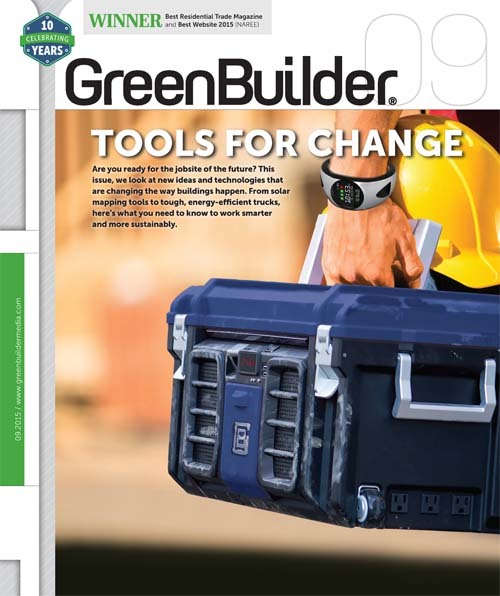 From solar mapping tools to tough, energy-efficient trucks, here's what you need to know to work smarter and more sustainably. Advances in building science promise a second chance for drafty, poorly insulated older homes. 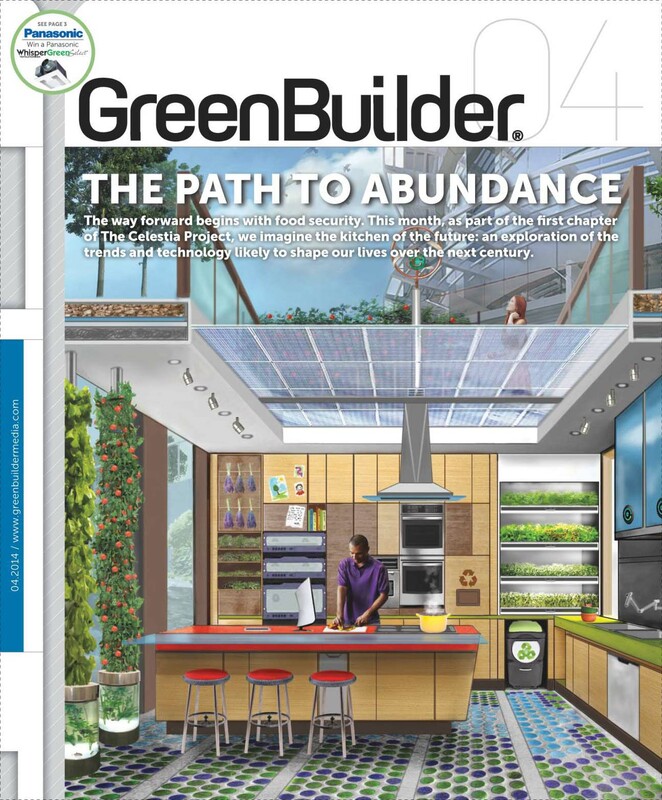 But as our annual "behind the walls" issue demonstrates, new homes also benefit from deeper understanding of how systems work in the real world. Making sense of complicated data gets a lot easier, with the help of clever infographics. 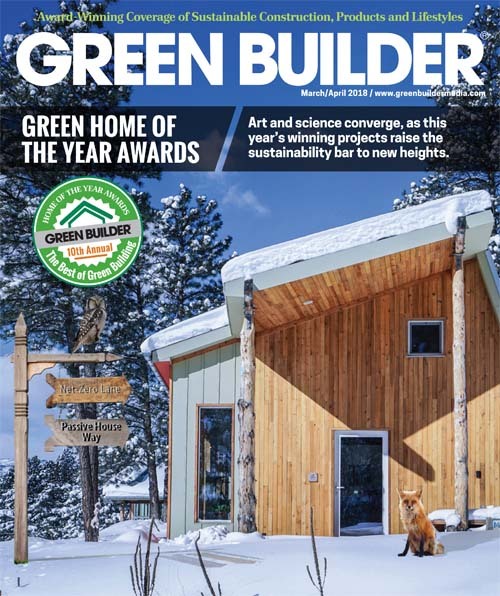 They're the visual centerpiece of this month's issue, which also takes a look at several game-changing net-zero-energy homes. 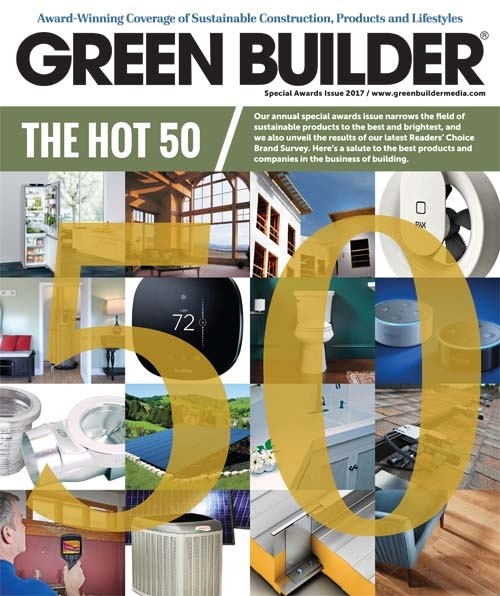 Here is our annual look at companies that are making serious efforts to address climate change—plus an update on solar products and innovations. New Products, new design concepts and changing expectations are transforming these pivotal living spaces. Throw in 3-D printing, and almost anything goes. Are you ready to rethink the most improtant rooms in the modern house? As childhood asthma reaches epidemic levels, poor indoor air quality has become a national concern. This month, we'll show you how to address the problem in every project, from basements to chimney. 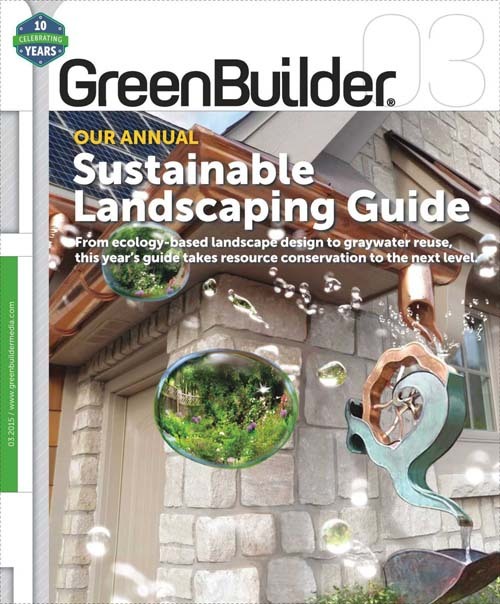 From ecology-based landscape design to graywater reuse, this year's guide takes resource conservation to the next level. 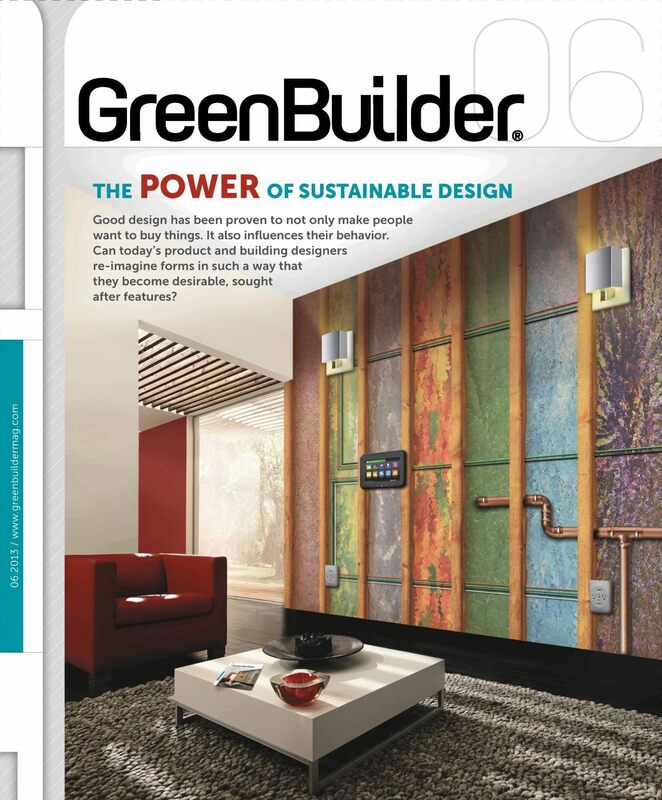 From geothermal systems to water-saving faucets, complete wall assemblies to advanced solar panels, this year's short list of leading products shows just how far and fast the industry is moving toward sustainability. In the final chapter of our year-long Celestia Project, we look at the push and pull of human interactions. As the Internet of Things connects us ever more closely with technology, how do we maintain the bonds of community and family? 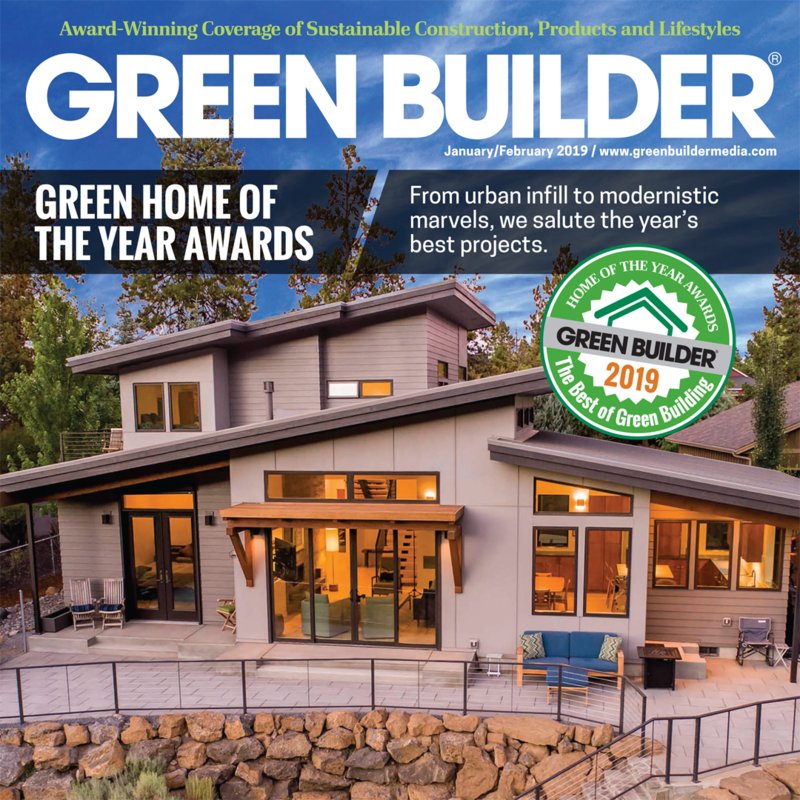 Our Green Home of the Year Award winners combine the best of tradition and technology - homes of great beauty that are also resilient and flexible. 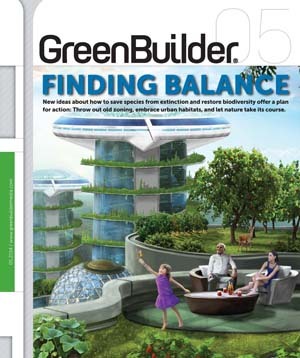 Our fifth annual guide to green building and renovation features updated tips, technology, products and professional advice for both current and would-be homeowners. As man-made carbon emisissions pass dangerous new levels, the production of high-intensity materials such as concrete and steel threatens to make matters much worse. 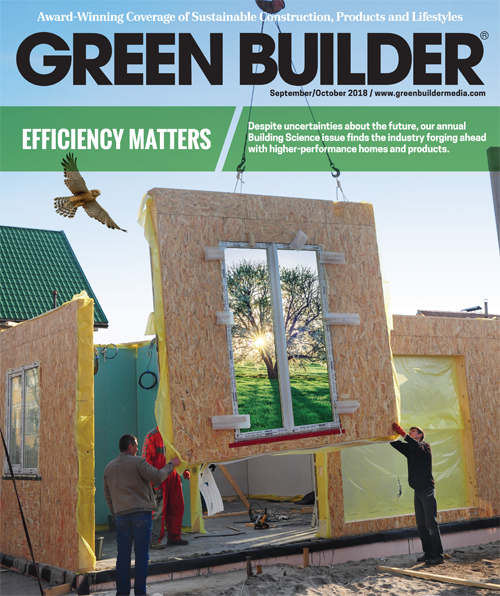 What can the building industry do to lighten the Earth's load? New thinking about water conservation could head off many of the worst scenarios of deprivation and desertification. The right combination of "fit to purpose" water supplies, along with changes in our diet, clothing and sanitary practices could restore the balance. 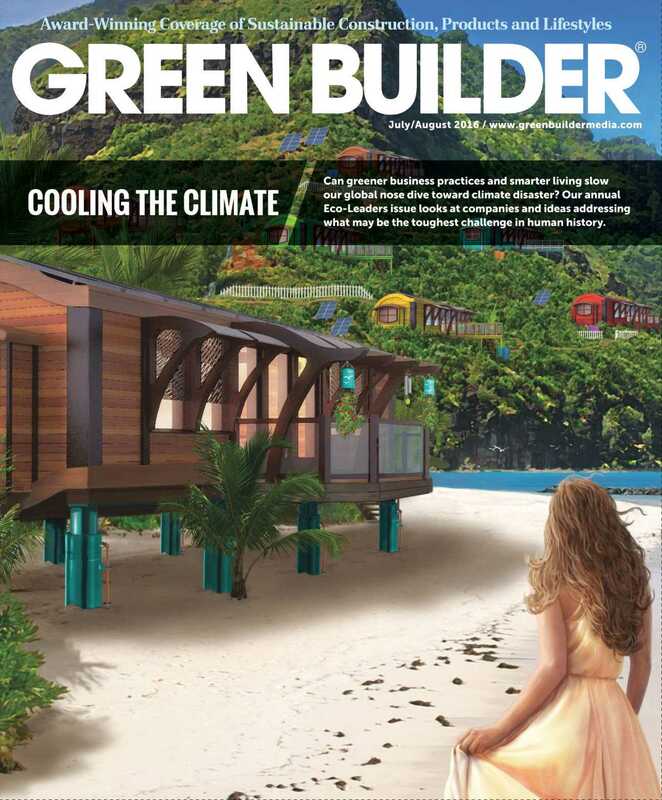 Our annual building science issue includes a special focus on renewable energy. Recent innovations, especially in solar cells, could turn our current energy portfolio upside down. 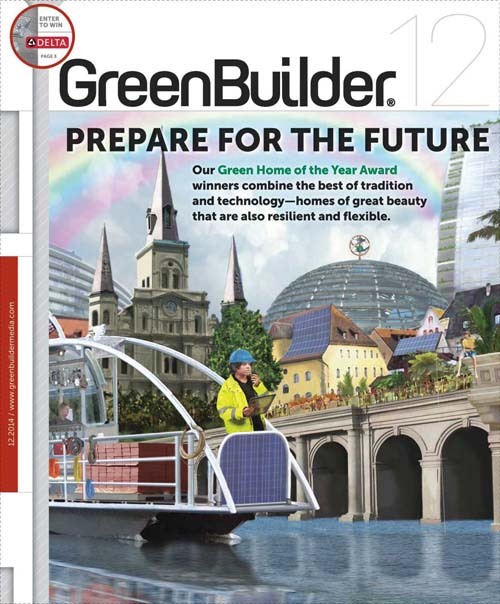 Get ready for a new age of geothermal heating, Passive House construction and smart conservation. 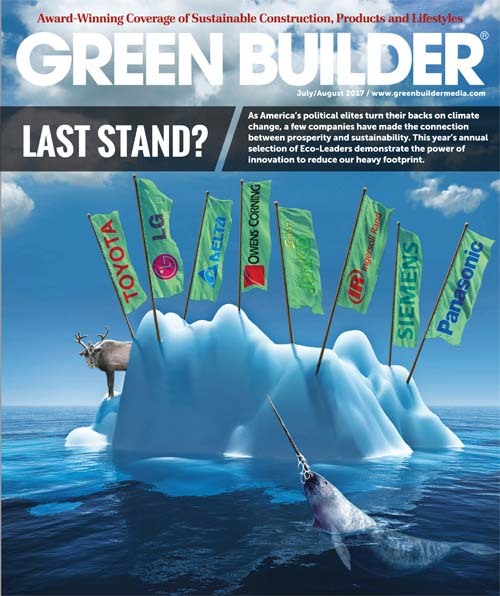 Special Eco-Leaders Report: See who made the list! 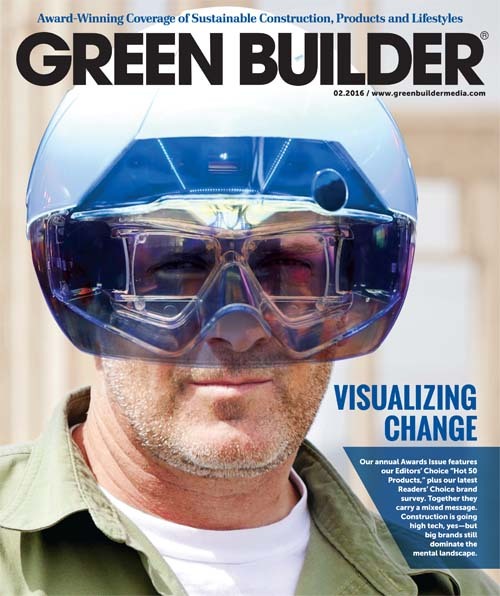 Plus, emerging building technology has the potential to solve many of our biggest challenges: labor shortages, volatile material costs - even poor durability. 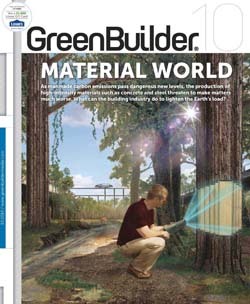 It's time to let machines do the dirty work, and create the green buildings and cities of our imaginations. As population rises and climate change looms, the best hope for future generations is rapid and thoughtful urbanization: living closer and living smaller, but also living better. here's how we can make it happen. New ideas about how to save species from extinction and restore biodiversity offer a plan for action: Throw out old zoning, embrace urban habitats, and let nature take its course. The way forward begins with food security. This month, as part of the first chapter of The Celestia Project, we imagine the kitchen of the future: an exploration of the trends and technology likely to shape our lives over the next century. 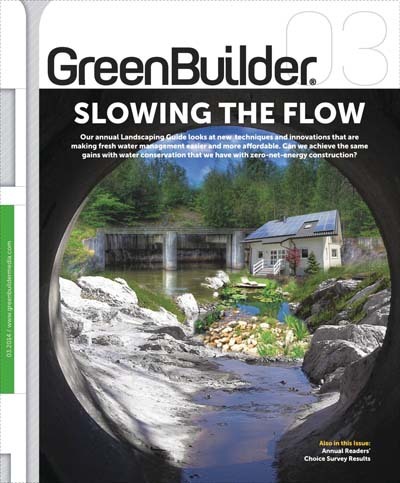 Our annual Landscaping Guide looks at new techniques and innovations that are making fresh water management easier and more affordable. 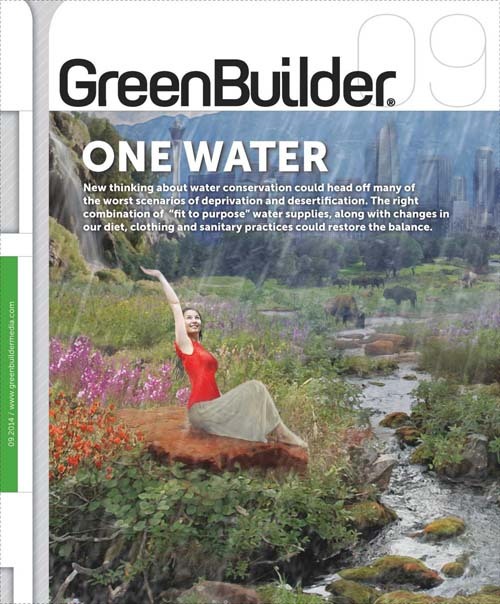 Can we achieve the same gains with water conservation that we have with zero-net-energy construction? 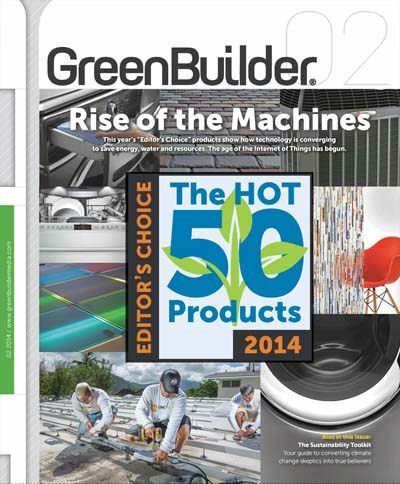 This year's "Editor's Choice" products show how technology is converging to save energy, water and resources. The age of the Internet of Things has begun. The seeds of a sustainability revolution have taken root, and they're growing into something much bigger - from solar electric vehicles to gravity-powered lighting to crowdsourced community planning, the future looks bright. Real Homes. Real Lives. 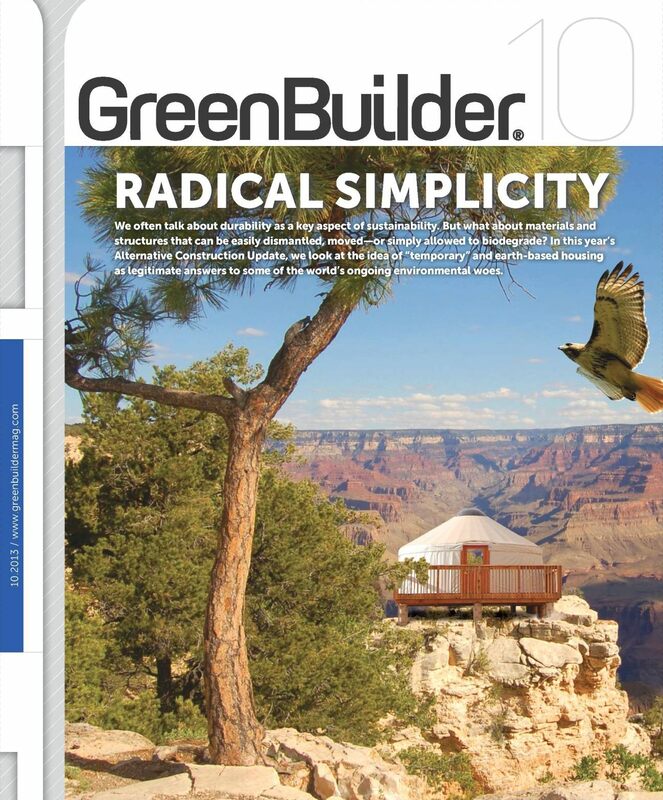 This year's award winners cleverly integrate high-tech and low-tech approaches to sustainability. 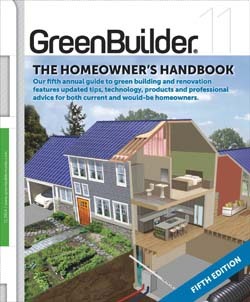 Your annual, essential guide to building or remodeling a sustainable home. We often talk about durability as a key aspect of sustainability. But what about materials and structures that can be easily dismantled, moved - or simply allowed to biodegrade? 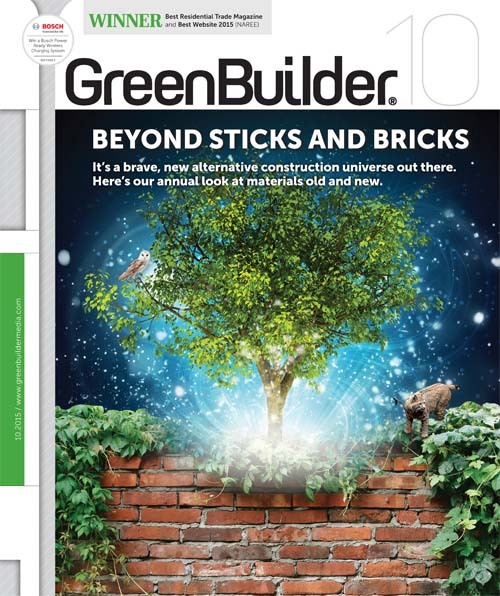 In this year's Alternative Construction Update, we look at the idea of "temporary" and earth-based housing as legitimate answers to some of the world's ongoing environmental woes. 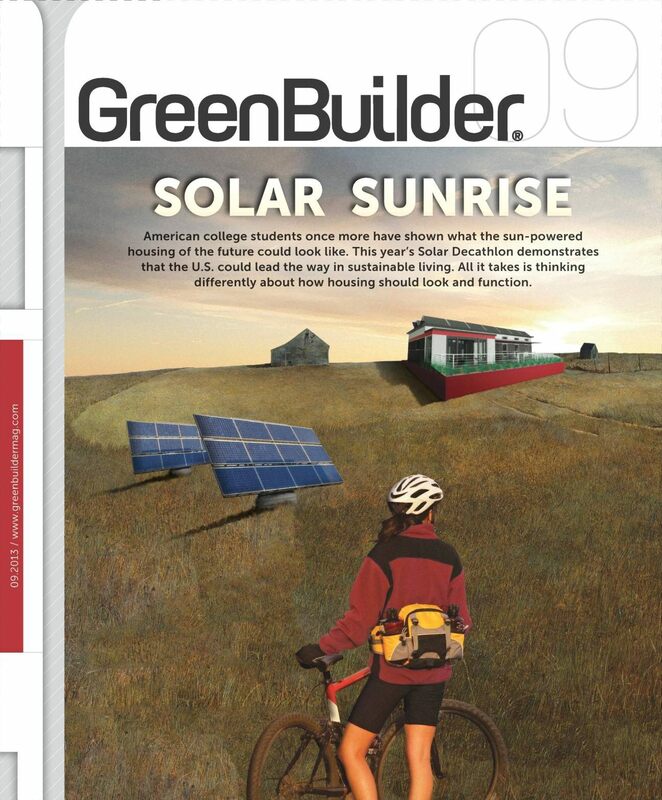 American college students once more have shown what the sun-powered housing of the future could look like. This year's Solar Decathlon demonstrates that the U.S. could lead the way in sustainable living. All it takes is thinking differently about how housing should look and function. When is solar hot water a viable, practical upgrade? What's the best way to retrofit an apartment building? Do range hoods perform as advertised? 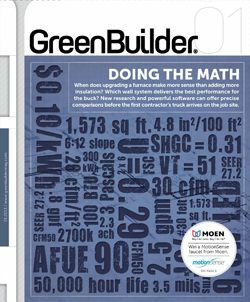 This month, we tackle some tough, important questions about performance, to help you make the most of your construction and renovation budgets. 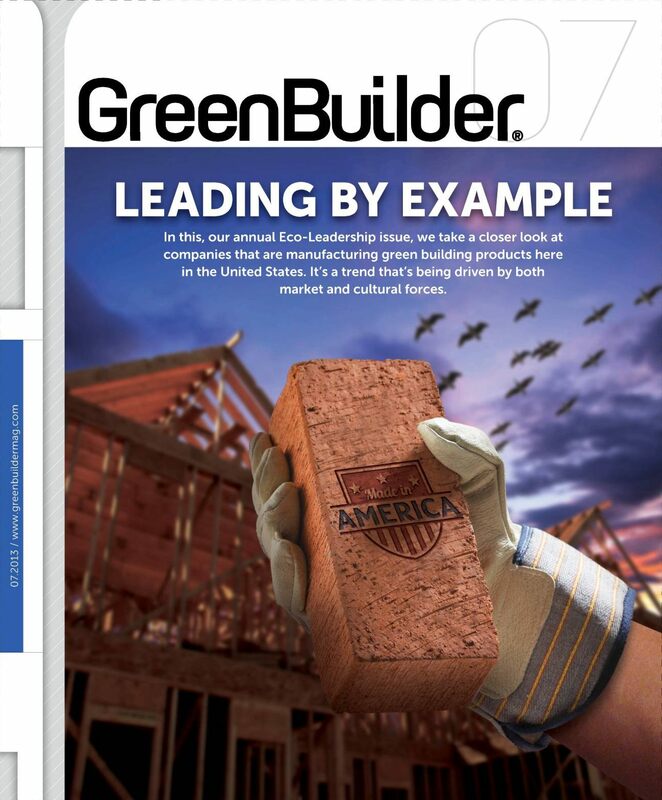 In this, our annual Eco-Leadership issue, we take a closer look at companies that are manufacturing green building products here in the United States. It's a trend that's being driven by both market and cultural forces. Good design has been proven to not only make people want to buy things. It also influences their behavior. Can today's product and building designers re-imagine forms in such a way that they become desirable, sought after features? 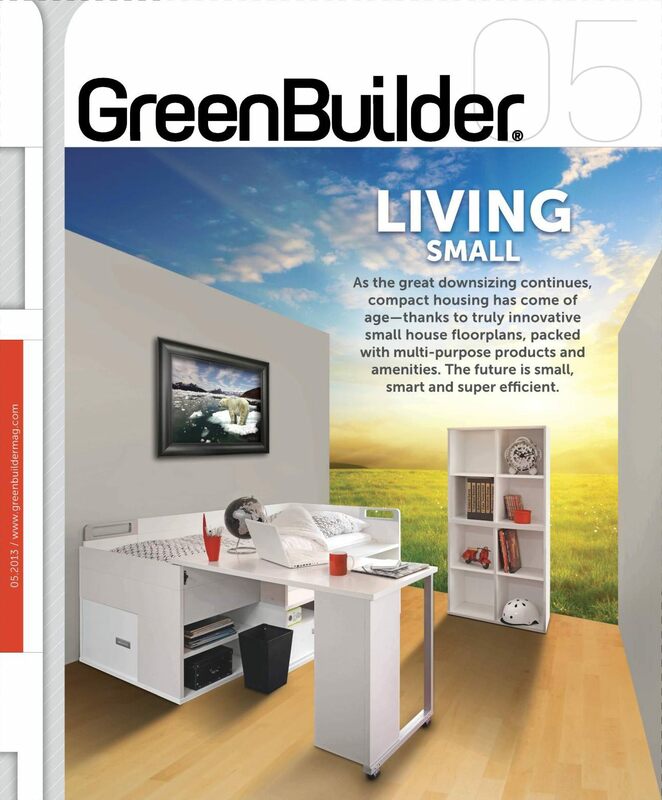 As the great downsizing continues, compact housing has come of age - thanks to truly innovative small house floorplans, packed with multi-purpose products and amenities. The future is small, smart and super efficient. 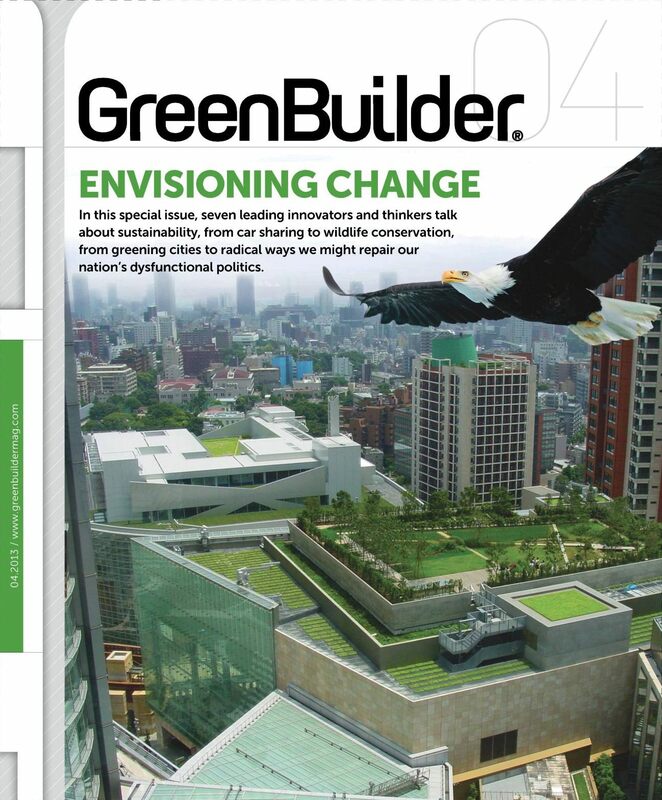 In this special issue, seven leading innovators and thinkers talk about sustainability, from car sharing to wildlife conservation, from green cities to radical ways we might repair our nation's dysfunctional politics. 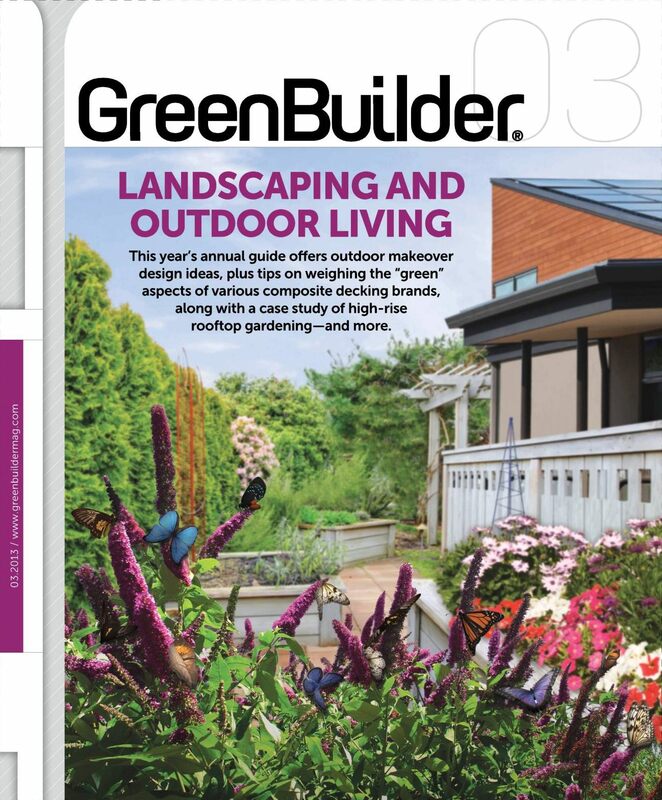 This year's annual guide offers outdoor makeover design ideas, plus tips on weighing the "green" aspects of various composite decking brands, along with a case study of high-rise rooftop gardening - and more. 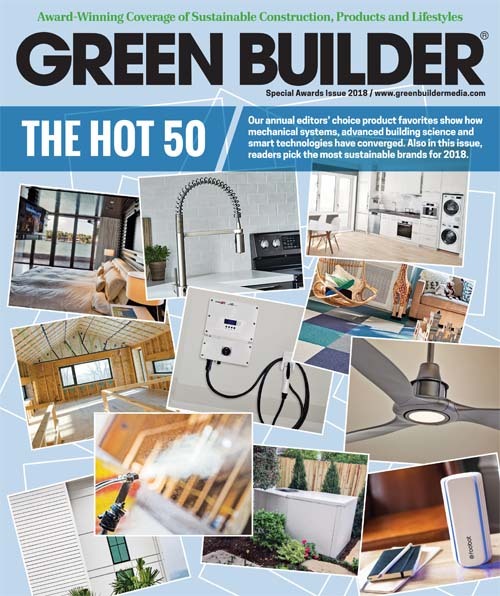 Our annual collection of editors' choice products includeds both low-tech and high-tech solutions, from tougher drywall to smarter thermostats. When does upgrading a furnace make more sense than adding insulation? Which wall system delivers the best performance for the buck? New research and powerful software can offer precise comparisons before the first contractor's truck arrives on the job site.